Enjoy a small-group tour of maximum 12 people off-the-beaten-track and discover fabulous views of the Alhambra and Granada, as well as typical little streets, squares and buildings. Hop on a local minibus that will take you from downtown Granada up to the Albayzin area. From there, follow your tour guide to the Sacromonte neighborhood. Sacromonte quarter is where the gypsies that accompanied the troops of the Catholic Monarchs settled after the town was reconquered. It’s famous for its caves, where the gypsies continue to celebrate their fiestas with flamenco dancing and singing and where traditional Zambra dancing was born. Walk through the Sacromonte, discover its charming little streets, typical houses and caves as well as amazing viewpoints of the Alhambra. Stroll through the Albayzin at sunset, walk the maze of narrow winding streets scented with jasmine, enjoy the breathtaking views of the Alhambra and contemplate the Carmenes’ Gardens (typical Moorish houses). 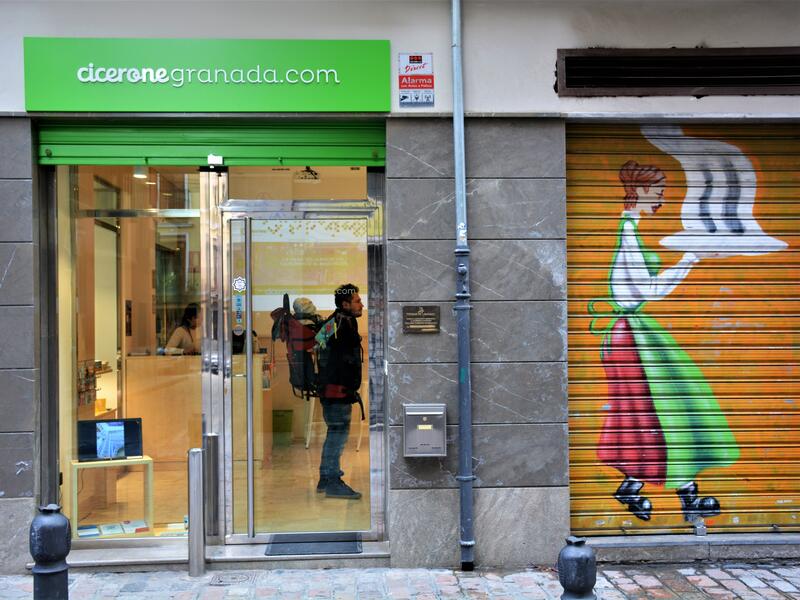 Discover the Moorish roots of Granada. Marvel at the Alhambra and at the city of Granada as well as its surroundings from two marvelous viewpoints. If San Nicolas viewpoint is too crowded, your tour guide will take you to a secret viewpoint. Walk your way to Plaza Nueva in downtown Granada passing by the Moorish craft shops, stalls and tea houses. After the guided walking tour, you will be invited to a drink and tapas at a traditional bar, a typical custom in Granada. Have an informal chat with your tour guide and fellow travelers. Meet your guide at the Cicerone Customer Center Shop. You will be in a group of maximum 12 people.